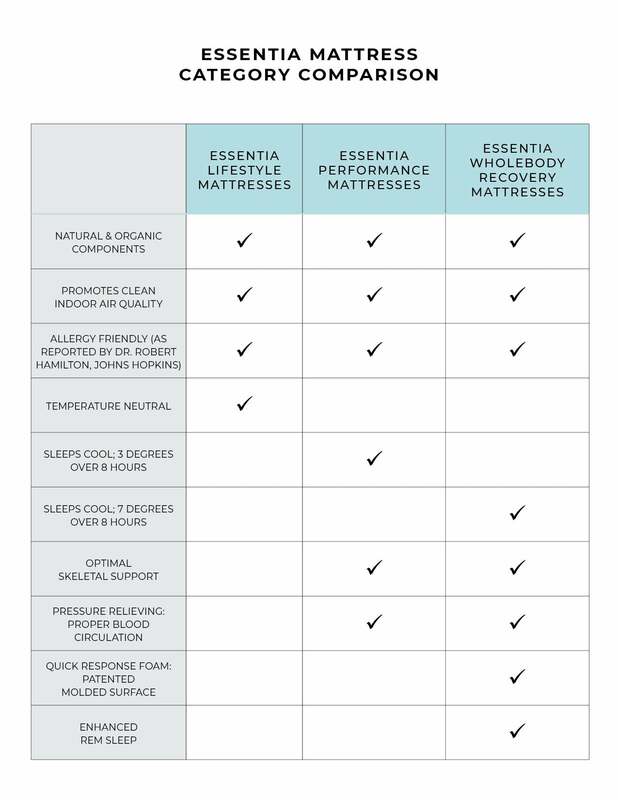 The New Standard in Latex Mattresses :: Tatami Mattress by Essentia | Organic Essentia Mattress Inc.
A latex mattress, but better! Featuring the comfort of Essentia’s patented natural memory foam you won’t find any wool or cotton on the Tatami. The Tatami’s even surface provides a touch of pressure relief and slightly less contour than our Stratami. Unlike traditional latex mattresses, you won’t find any wool or cotton on the Tatami. This allergy friendly mattress doesn’t have any fibrous nesting grounds that dust mites love. Made using only highest quality natural and organic components the Tatami promotes a clean air environment so your body spends less time fighting outside elements. The Tatami features our patented natural memory foam for a touch of pressure relief and gentle contour. This natural latex mattress delivers with a gentle contour promoted by the natural latex support layer and natural memory foam. 1” Essentia patented natural memory foam. 7” natural support foam gradually transitions to your body offering proper spinal alignment for support that doesn’t bottom out.